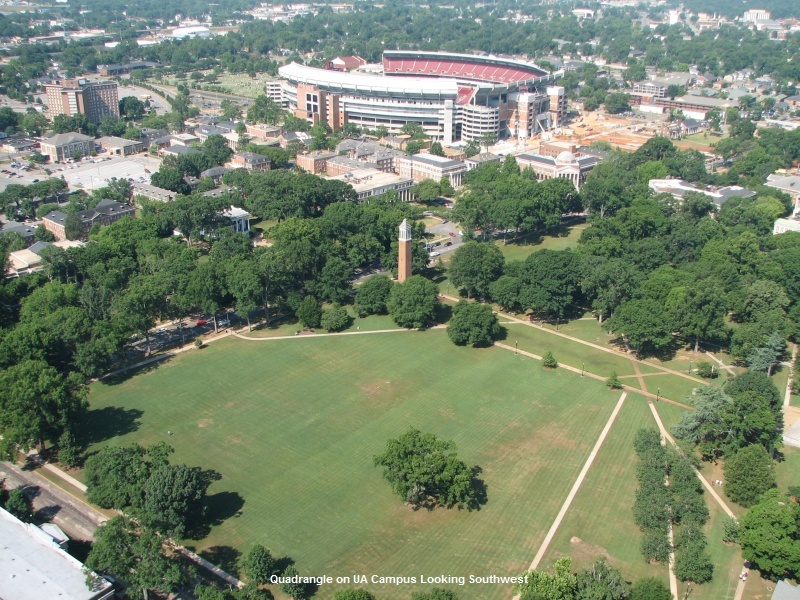 The University of Alabama reviews the use of catering firms and has developed a list of caterers that meet certain requirements, and who operate within the terms of a licensing agreement. This license arrangement is not a guarantee of business, but is necessary to be eligible for consideration of any catered events at UA. With a growing concern of food borne illnesses, the University must take steps to ensure catering firms are taking appropriate steps to properly prepare, transport and serve food and beverages provided to students, faculty, staff and guests. In addition to food safety, the University requires all caterers provide evidence of insurance and the business licensure and health permits as required by law. The Social Event & Grounds Use Form is used for campus organizations to register on campus events including, but not limited to, cultural, academic, and social events. Social events include parties, swaps, band parties, formals, receptions, theme parties, and social activities in Greek houses, residence halls, and other facilities. Organizations registering on-campus events must submit this completed form, applicable additional forms, and all applicable fees to the Office of Student Involvement (3610 Ferguson Center) or Fraternity & Sorority Life (2512 Ferguson Center) if it is a Greek Organization sponsored event, at least 7-10 business days before the event. All student organizations must be registered with the Office of Student Involvement. All submissions are handled via an “Online Event Registration Form” through each organization’s mySOURCE profile. Submission of the online form does not imply registration has been approved or accepted. All registrations are subject to approval of campus administrators. Departments and registered student organizations for the current academic year may apply to utilize E-tickets. The E-tickets program provides a way for departments and organizations to collect money for events/programs sponsored by the group. The E-Tickets program provides this service at a minimal administrative cost. It can also be used to facilitate anything from collecting money for t-shirt orders or to charging money for admission to an event or program. Departments and registered student organizations must turn in an e-ticket application at least 10 days prior to their event. Please read the following polices carefully before submitting your application or considering use of the E-Tickets program. Contact Rosalind Moore, advisor to The SOURCE, at rlmoore@sa.ua.edu for questions. Organizations can submit promotional slides to appear on the digital screens in the Ferguson Center. Ads run for one week, Monday through Friday, and can run for a maximum of one month. Click here for details on the complete submission process. Student organizations can also submit promotional material to be distributed in dorms through the Housing and Residential Communities website. Organizations can rent vehicles through the University of Alabama Fleet Services Office for one-day or one-time trips. Please note that you should attempt to make arrangements in advance. All drivers must complete a Motor Vehicle Release “MVR” Form, link here for the form. In addition, all drivers under the age of 25 must complete the “Alive at 25” training course. For more information contact the Office of Risk Management or phone 348-4534 Fax 348-3312. Payment is only accepted through an established account number in UA financial system, so you may want to work with your advisor on that process. For more information contact The SOURCE or Fleet Service directly at 205-348-4800.